Chief Minister Raghubar Das said that art is in every pocket of Jharkhand; all we need is to polish it. There are also possibilities of natural tourism along with mining and eco-tourism in the state. He said that the artist from around the world can paint the beauty of Jharkhand in their canvas and present its image on world screen. 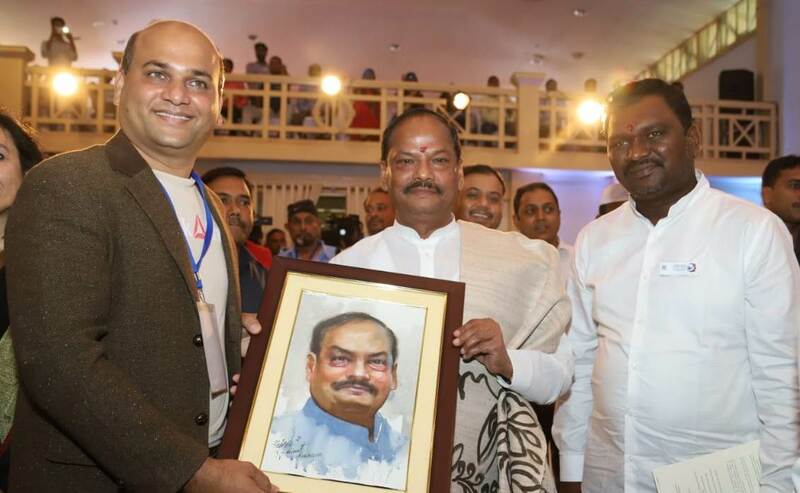 The Chief Minister was addressing people present at the International Water Colour Festival organized by the Jharkhand Art Culture and Tourism Department in Audrey House from August 23 to August 27, 2018. 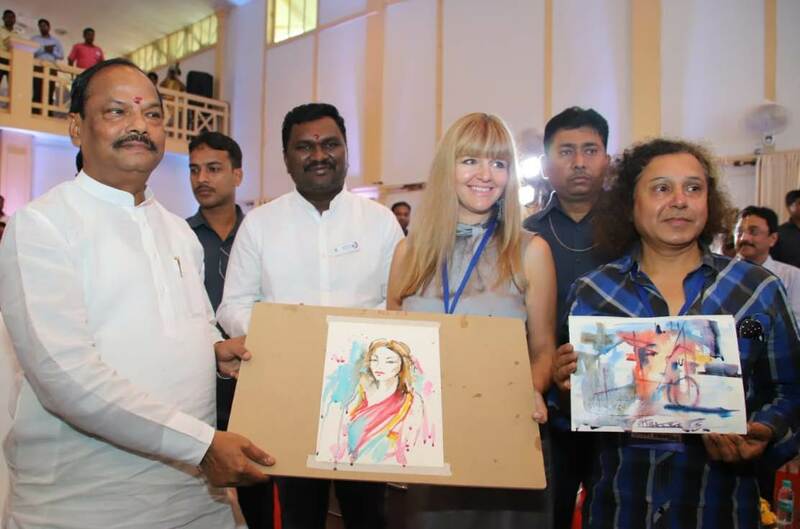 The Chief Minister said that this International Water Colour Festival organized by the Jharkhand Art Culture and Tourism Department on the occasion of Late Ramdayal Munda's Birthday is a true tribute to him. The Chief Minister said that through painting, an artist presents the pain of society in front of everyone. Artists from the different part of the world should paint the beauty of Jharkhand and exhibit it in international painting festivals. This will enable people to be aware of the hidden possibilities in our state. We have to try that Jharkhand becomes the richest state in the country. 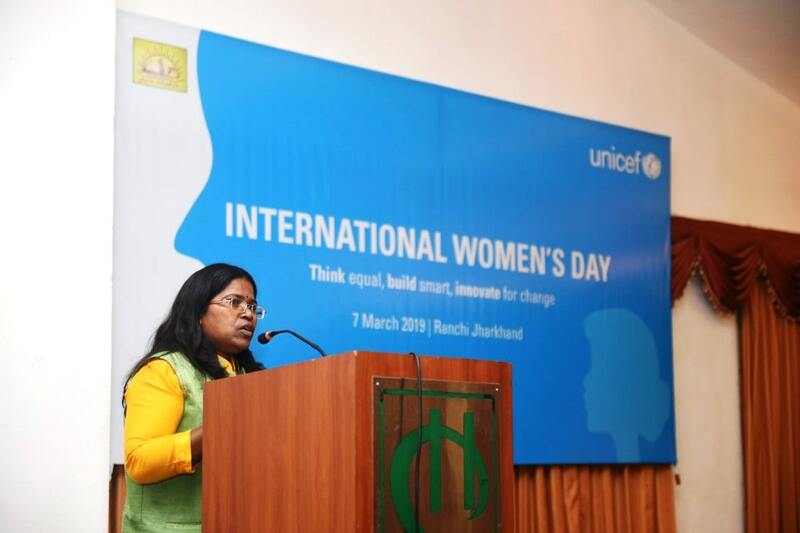 Jharkhand can compete with the developed states of the world. The Chief Minister said that Jharkhand government will provide all possible facilities to the artists. He appealed to the youth of the state to come to the event to learn from the painters and to refine their art. The Chief Minister appealed to the people of the state to participate in this event, it will not only increase the morale of artists but also the upcoming art lovers will get the opportunity to see international art. 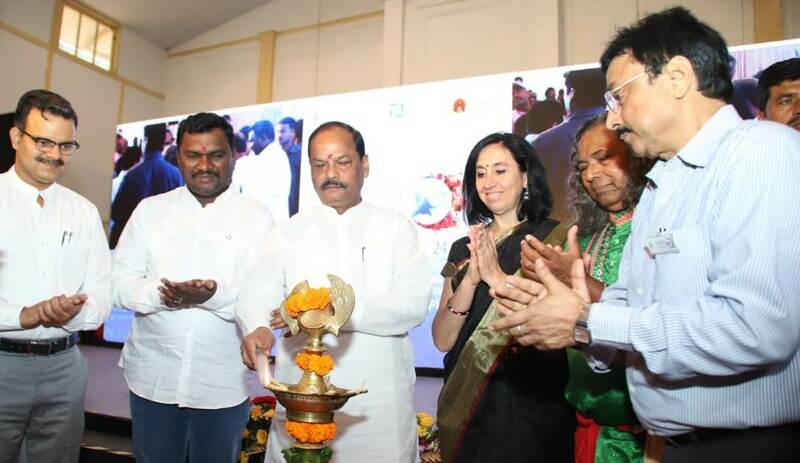 On this occasion, the Minister of Jharkhand Art Culture and Tourism, Amar Kumar Bauri said that this is the first time in the country that international artists will paint together. In the event, the artists of this place will go to all the tourist destinations of Jharkhand and make painting there. The exhibition of those paintings will also be held on the last day of the event. 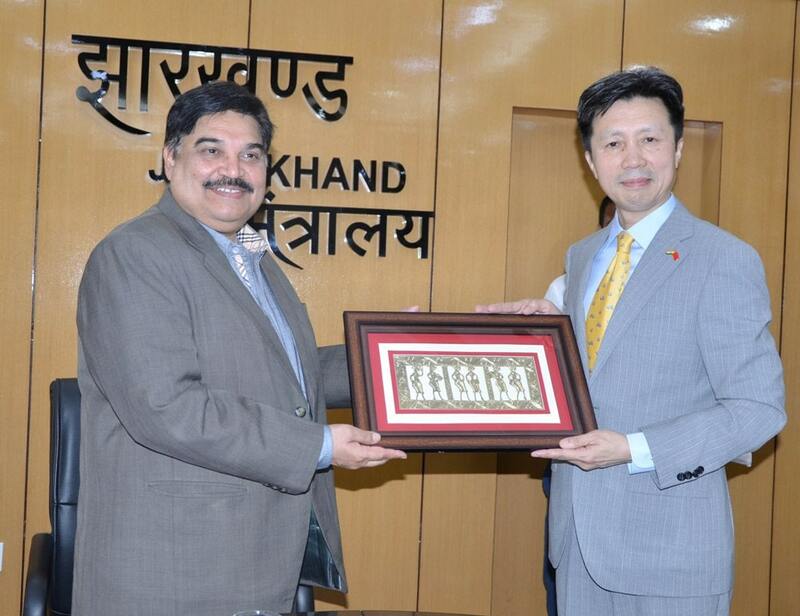 There is a lot of talent in Jharkhand. With such events, these talents will get an opportunity to meet with international artists. Secretary of Jharkhand Art Culture and Tourism Department, Manish Ranjan said that today the presence of international artist will take the role of Jharkhand to a new place on the screen of global art and culture. He said that in this 5-day program, artists will show paintings on various topics. He said that in this program 24 countries of the world, 25 states of India and 24 districts of the state are participating. They will paint on various subjects. Anna Massinissa, from Fabriaño, said that art is the only medium through which people exchange their civilization and culture. Art does not know any boundary, it has no language. The main purpose of this event is to awaken the spirit of togetherness. On this occasion, the artist Victoria from Ukraine and artist Uttam Karmakar from Italy did the live painting and presented it to the Chief Minister. 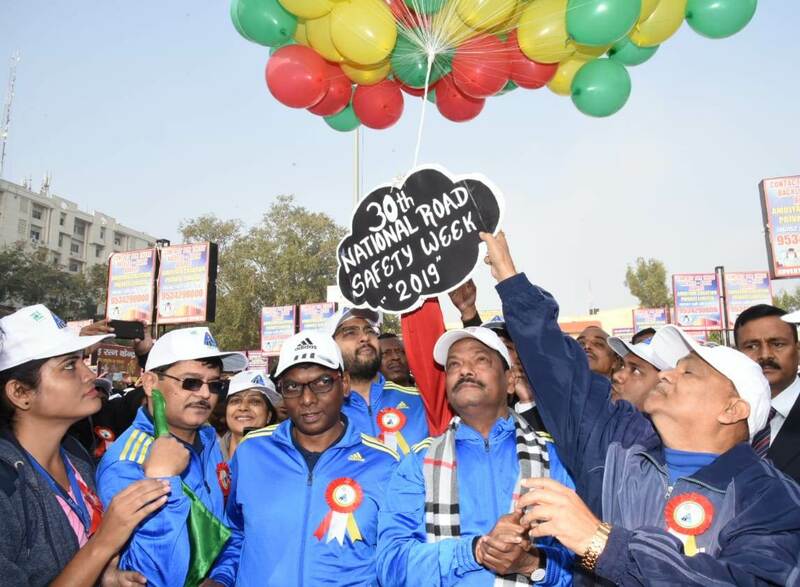 Principal Secretary to Chief Minister Dr. Sunil Kumar Barnwal, folk artist Padmashree Mukund Nayak, founder of the festival Mrs. Anna, Rajat Bandhopadhyay, and artists from across the world were present.